This year has been a huge one for sustainability in the news. The plastic straw ban has been at the forefront of headlines for months, opening up the dialogue of what sustainability movements entail. The truth is that straws are just the tip of the garbage heap that we need to deal with. As a current resident of Portland, it's exciting to know that our government is working towards this ban full speed ahead. Plastic straws are one of the most common forms of litter, Oregon Mayor Ted Wheeler said during a hearing, and are "littering Portland's waterfront, our streets and our parks." Wheeler said straws are of particular concern because they cannot be recycled in Portland. Many Portland businesses are already a step ahead of the council. 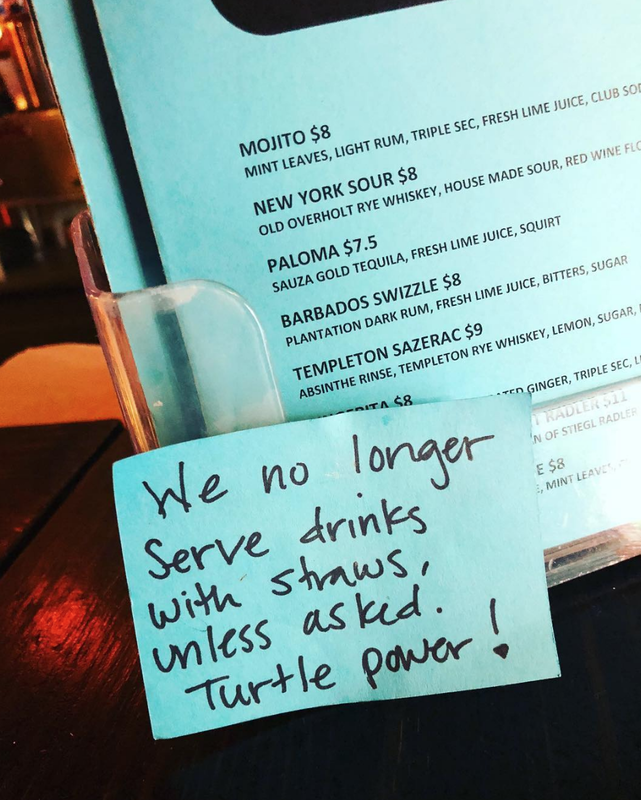 More than 100 local bars and restaurants have over the last two years voluntarily stopped serving drinks with plastic straws, favoring paper straws, metal straws or a straw-on-demand policy. I'm proud to say that my favorite coffee shop, Coffee Time, and my favorite bar, Paymaster, have both put up signs making people think twice about grabbing a straw. It's just the beginning, but I'm excited to be following the steps of New York, California, and Washington!